Gratuity to tour manager, local guides and drivers. one of the most beautiful cities in Umbria. This walled medieval city, dates back to the Etruscan period, 9th century BC. 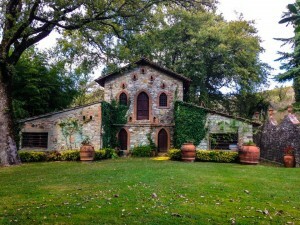 It is also famous for its wine, Orvieto Classico. You will stroll the town and stop for coffee before continuing onto Pienza, your base for the next four nights. This morning you will explore the charming town of Pienza. Walk along the wall for the beautiful view of the Orcia Valley. Following this, your will travel through the scenic Tuscan countryside to reach the Romanesque Abbey of Sant’Antimo, an unforgettable 9th-century Benedictine monastery. 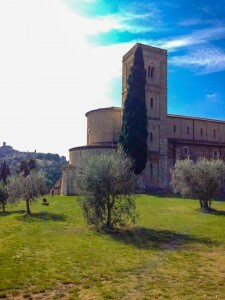 It is a simple yet magnificent stone church, set amongst the field of olive trees. The town of Montalcino, whose acclaimed vineyards produce Brunello di Montalcino, is a short drive away. You will explore the town a bit take some photos and have lunch. You will have some time to pop into some of the shops before you head back. NOTE: If there is any interest in visiting an organic farm, let us know. You can be taken there for a farm-to-table lunch with a view from the terrace garden. Otherwise, lunch can be in town, either in Cortona or Montepulciano. Today, your tour in Tuscany takes you to Cortona, one of the oldest hill towns and best-preserved Etruscan cities in Tuscany. Your first stop is Le Celle, a hilltop monastery founded by St. Francis of Assisi in the early 1300s. It is a beautiful spiritual place built in the foothills of Monte Sant’Edigio in a natural gorge carved out by a stream. It is believed that this is where the saint dictated his will. You will explore the town’s charming medieval streets and squares with cafes, restaurants and shops. As you follow Cortona’s meandering medieval walls, you will be treated to magnificent views of vineyards, olive groves and Lake Trasimeno. 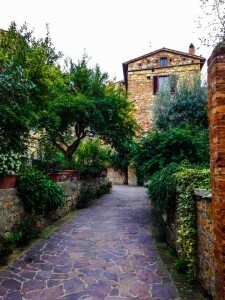 Cortona is a joy to simply explore on foot. In the afternoon you will tour Montepulciano. 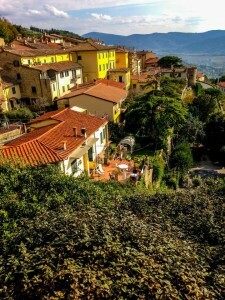 It is one of the highest of Tuscan hill towns, built along a narrow tufa ridge, with a long main street and alleys that drop away to the walls. It’s a stunning town, endowed with dozens of Renaissance palaces and churches, and full of beautiful vistas and odd little corners to discover, artisan shops and a winery. You will explore the town leisurely and also have time on your own. Take the time and sit at a café in the main square and savor the atmosphere. Lots of interesting shops including a copperware shop, with an excellent artisan who produced all their products. Your day starts with a drive by the beautiful Lake Trasimeno for the views, passing by a historic town of Passignano. You’ll have a short stop in a nice spot for coffee and enjoy the lake view. Ten minutes away is the site of the bloody Battle of Lake Trasimeno where Hannibal of Carthage massacred two Roman legions (15,000 soldiers) on the morning of June 24, 217 B.C. Next stop is Assisi sweeps the flanks of Mt. Subasio in a broad curve, like a pink ship sailing over the green sea of the valley below. Sister cities of San Francisco and Bethlem, Assisi attracts thousands of pilgrims every year, particularly for its connection to the beloved Saints Francis and Claire. Assisi is also known for its well-preserved medieval Roman architecture. Your guided tour of Assisi starts from the town’s heights, stopping at the church of St. Claire, a great example of Italian Gothic architecture containing precious paintings, the famous crucifix venerated by St. Francis, and St. Claire’s crypt. You will move towards the old Roman forum, where you can see the 1st-century Roman temple of Minerva, the 13th-century Palazzo del Capitano del Popolo, and the 14th century Palazzo dei Priori. You will finally take the main road downhill to the main attraction of Assisi, the Basilica. The Basilica, begun two years after the death of the saint in 1228, is composed of two churches and a crypt housing the Saint’s tomb. The lower Basilica was decorated by the greatest painters of the 13th and 14th century: Cimabue, Giotto, the Lorenzetti brothers, and Simone Martini. The upper Basilica is adorned by Giotto’s frescoes illustrating the life of St Francis. You will enjoy wandering around the beautiful streets and take advantage of town’s perfect position for a fantastic view of the Umbrian valley. You will return to Pienza late afternoon. Spello, one of Umbria’s mot enchanting little towns. You will have a quick stroll of the town before you stop at an olive press and have the opportunity to taste some olive oil. OPTIONAL: Tour of Uffizi museum in the afternoon. You will have an early morning walking tour of Florence with a licensed local guide covering some of the city’s history and architectural treasures including the beautiful Piazza della Signoria, the Duomo, Ponte Vecchio, Piazza Santa Croce and more. 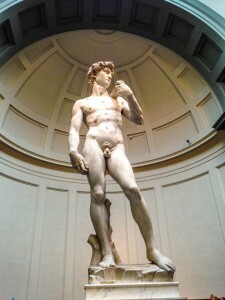 You will also visit the Accademia museum where you will view some of Michelangelo’s works, including the famous Statue of David. 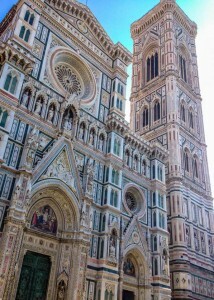 A fantastic day trip in Tuscany, a Lucca & Pisa tour. Enjoy a private tour of Lucca, one of the most graceful and elegant cities in Tuscany and Pisa, home to the famous “leaning tower”. Our driver-guide will take you on a day trip to Lucca, the birthplace of composer Giacomo Puccini. Lucca, one of the most charming of Tuscany’s provincial capitals, is set inside a ring of well-preserved Renaissance walls. The wall is wide enough to hold small parks and a path along the top. Founded by the Etruscans, Lucca became a Roman colony in 180 B.C. During the 12th century, it enjoyed a period of prosperity based on the silk trade. Lucca remained an independent republic for over 500 years, until Napoleon came along and created the principality of Lucca. Everything is contained within Lucca’s wide city walls – 2.5 miles around – and we will stroll in search of Lucca’s highlights, from its charming squares to the beautiful churches of San Martino and San Frediano. We will also glimpse the city’s Roman past in Lucca’s market square and medieval quarter. Next you will go to Pisa, a Roman colony from the 2nd century B.C. A naval and commercial port, Pisa became a maritime republic in the Middle Ages, rivaling Genova, Amalfi and Venice. Most of the city’s finest buildings date from this period, when the distinctive Pisan-Romanesque architectural style flourished. 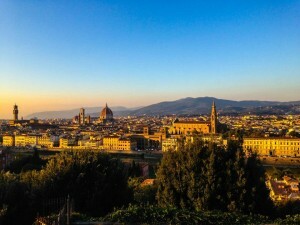 Since the 15th century, the city was governed by Florence, whose Medici rulers re-established the University of Pisa, where Galileo, Pisa’s most famous native, once taught. You will go to Campo dei Miracoli, a large, grassy piazza containing Pisa’s cathedral, the baptistery, the cemetery and Pisa’s most famous landmark, the leaning tower. You will wander around this beautiful square and enjoy the amazing architecture before your return to Florence. OPTIONAL: Climb the tower. No elevator. Entrance tickets required. 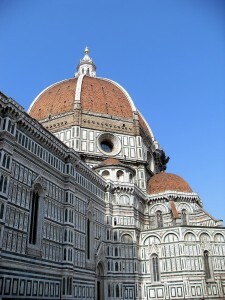 Early in the morning, you will be taken to the train station in Florence. Our driver will assist you getting on the train. Train ride is 1 ½ hour. Once you arrive in Rome, our driver will be waiting for you on the train track. You will be taken to your hotel for check-in. 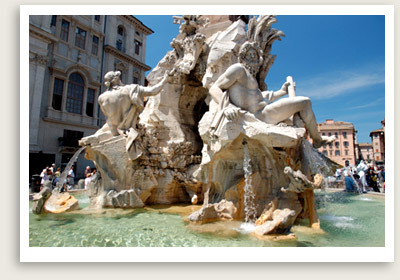 You will have a short driving tour of Rome to see sites not easily reached on foot as Rome is quite large. Some of the sites included: Trevi fountain, ancient Roman gate and wall, ancient Appian way (via Appia), Circus Maximus, Moussolini’s window, and more. Your guide will pick you up at your hotel and take you on a tour of the Vatican. You will have tickets with reservation so you will bypass the long line to get in. Your Vatican private tour starts with a guided tour of the Vatican Museum and Sistine chapel. 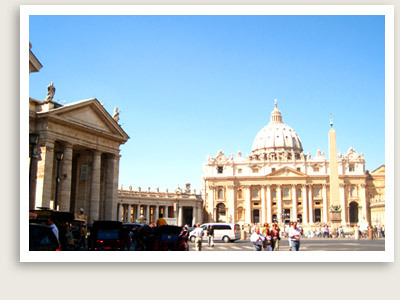 Private tour guides conduct all of our Vatican private tours. 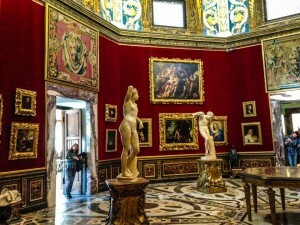 The Vatican houses the wealthiest privately-owned collection of masterpieces, showcased in rooms with walls decorated by Raffaello. The real masterpiece, however, is next door: Michelangelo’s painting of the Sistine Chapel, which unexpectedly revolutionized the world’s idea of art. The Sistine chapel is still shaping the future of the Papacy: this is where the cardinals lock themselves in to elect a new Pope after the former one has passed away. Your Vatican private tour ends with the private tour of St. Peter’s Basilica, the largest church in the world. The magnificent and breathtaking complex spans back to 4th century BC, when it was commissioned by Emperor Constantine, though the new cathedral took over 100 years and all of Italy’s greatest artists to build it. Your private tour of St. Perter’s basilica will showcase its collection of art including masterpieces by Bernini, Baldacchino and Michelangelo.